“In 1986, something strange happened. Heavy metal became the most popular music in the world and everywhere you looked kids were growing their hair long, flashing the devil horns and playing air guitar…” You might be familiar with this quote from Sam Dunn’s documentary Metal: A Headbanger’s Journey. Even if you are not, you’ll certainly recognise the cultural impact of large-scale heavy metal shows of the late ‘80s, which created an aesthetic in the genre that remains in the zeitgeist to this day. One of the most revered albums to come out of this era was Def Leppard’s Hysteria. Released in 1987, Hysteria was an ambitious project, with the band going on record saying they wanted to produce a hard rock version of Thriller. Three decades on and many of the classics are still commonplace in rock clubs around the world and, I dare say, many of you reading this have drunkenly sung Pour Some Sugar On Me at 1am once or twice in your time – I know I’m not alone! 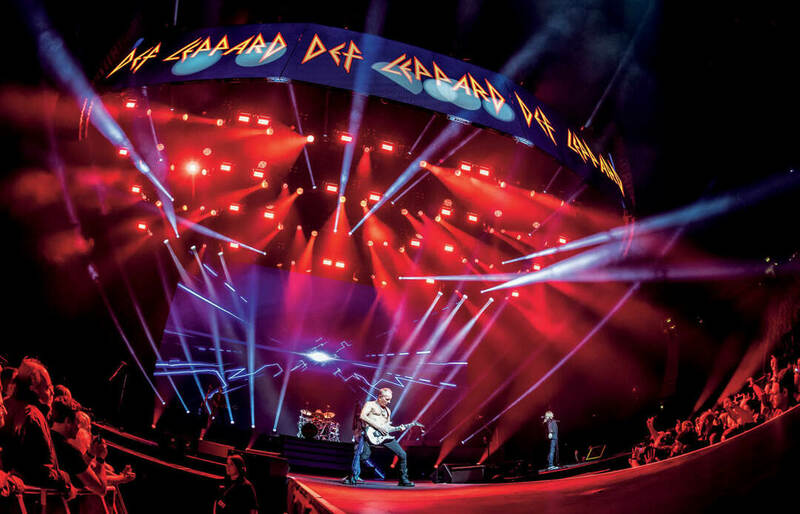 With ‘80s nostalgia at an all time high – from Netflix hit Stranger Things to the kind of fashion that’d have Molly Ringwald in check, it only seems right for Def Leppard to pay homage to the famed album. 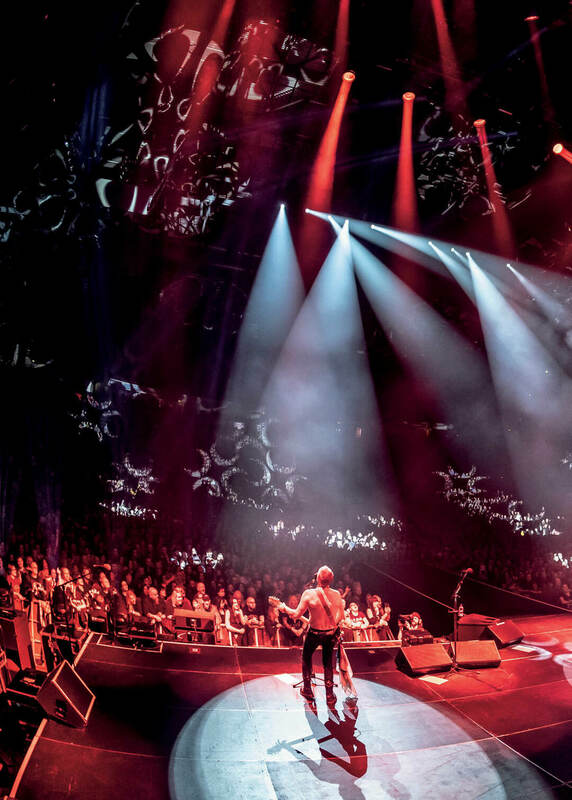 The arena run, which saw the band power through sides A and B of the record for audiences in the UK and Ireland, wrapped up a whole year of intense touring. 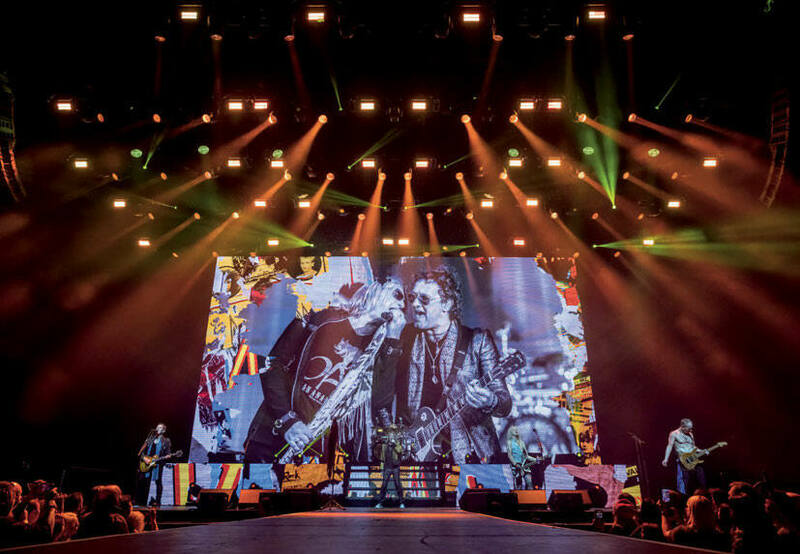 Yet, while the tour material is deeply rooted in the ‘80s, the band and crew – as is tradition – used the opportunity to utilise some of the latest technology the touring world had to offer. After re-arranging his calendar and completing some other prior commitments, Adamson jumped aboard what was, at the time, a coheadline production with Journey. Since then, Adamson and the rest of the crew have collected their fair share of passport stamps touring in Japan, Australia, New Zealand, and Hawaii. In the UK, Adamson called on the support of HSL Group to provide lighting and rigging, SSE Audio for PA, Sound Image supplied audio consoles, Screenworks for Video and Pyrotecnico for lasers. Transport came courtesy of Beat The Street and McGuinness with The Touring Company working as the travel agent for the crew. Finally keeping the crew fed throughout the tour was Eat To The Beat. 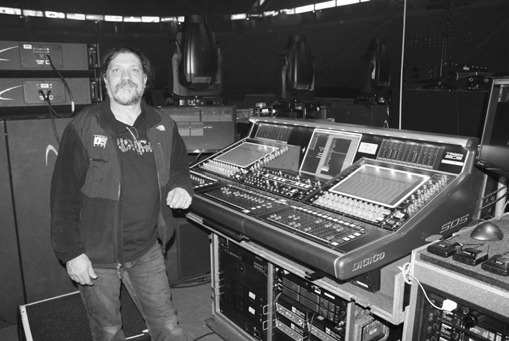 Lighting Crew Chief, Kevin Cassidy; FOH Engineer Ronan McHugh; Monitor Engineer, Ted Bible; The Def Leppard video crew; Head Rigger, Ian ‘Tufty’ Bracewell. FOH Engineer Ronan McHugh was well-placed to do so. McHugh first worked with the band in the studio back when they recorded Euphoria and took on full time live duties back in 2003 during the X Tour. 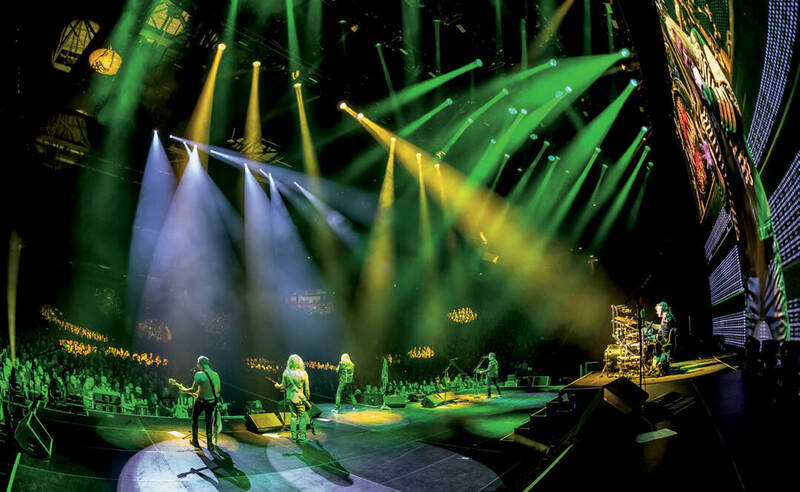 When it was announced the band would be reproducing the Las Vegas shows for a European tour, McHugh pulled out the show files, giving the audio team a head-start. considerably,” said the engineer. Waves was integral to McHugh’s control set up and effects. The only element from the band’s analogue past were a selection of Empirical Labs Distressors which the engineer used for all the vocal inputs. Stage Manager, Danny Spratt; LD, Kenji Ohashi; Production Manager, Chris Adamson. Bible discussed the band’s on stage sound set up. 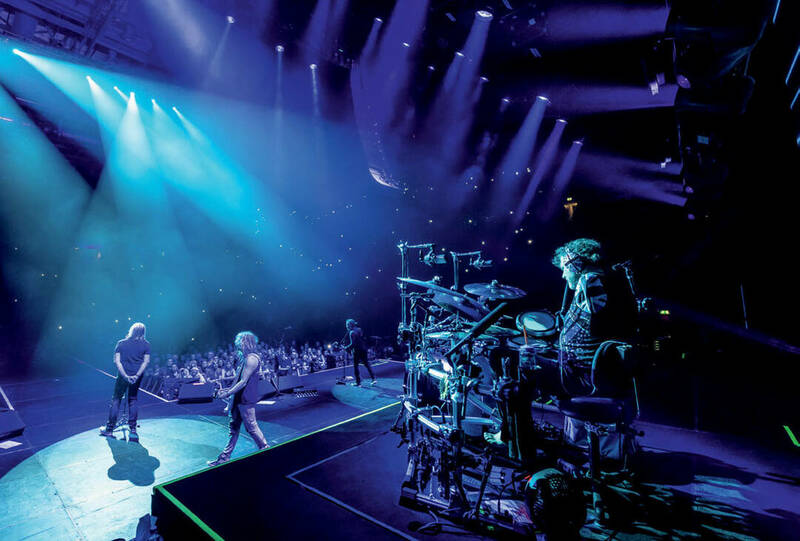 “When I first joined the camp the entire band was on wedges but over the years we have been moving to IEMs.” As it stands, almost all the band are using IEMs save bassist Rick Savage, who only used them for a few songs in the set and opted for onstage monitors the rest of the time. “For Rick, we have three sets of wedges across the front, a set of side fills and a set on the rise staging either side of the drums.” Also on the stage was a selection of drum fills to enable Allen to simulate the power of an acoustic drum. Shure was also the brand of choice for microphones and instruments wireless packs, utilising Axient Digital system. “The Shure equipment’s network capability is one of its biggest draws for me,” commented Bible. 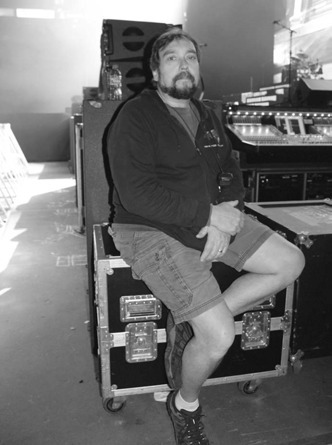 “I’m coordinating all the frequencies then sending the info to everyone’s units so all they have to do is sync their packs.” For vocal microphones the Beta 58as were used across the stage. 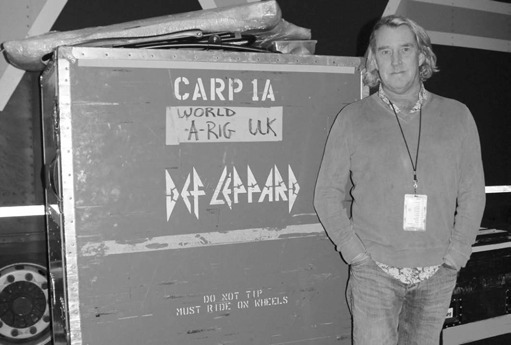 It was clear from speaking to Bible and some of the backline team just how much Def Leppard have adopted to modern touring technology. 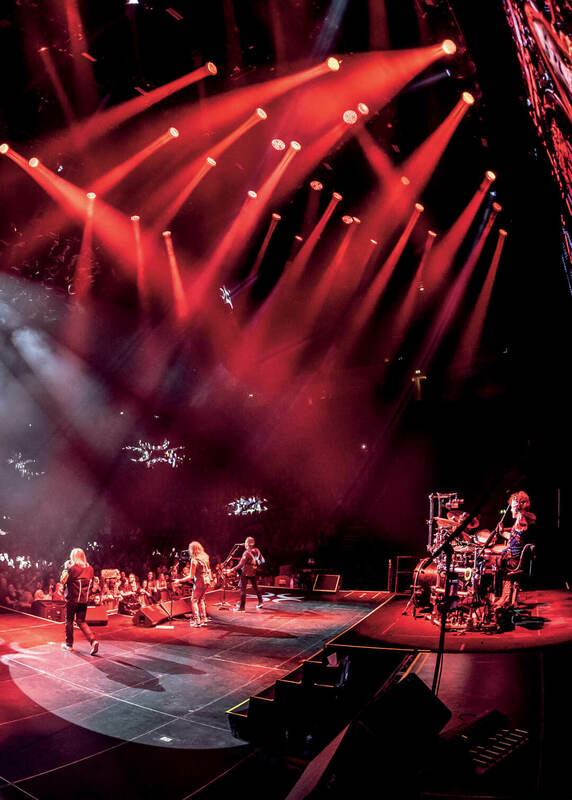 “We are almost completely digital on the stage, the only live microphones are the five vocal mics along with two for the hi-hat and ride,” stated Bible. The rest were direct inputs including Rick Allen’s famed digital drum kit with the rest of the band using Fractal Audio systems Axe-Fx III. 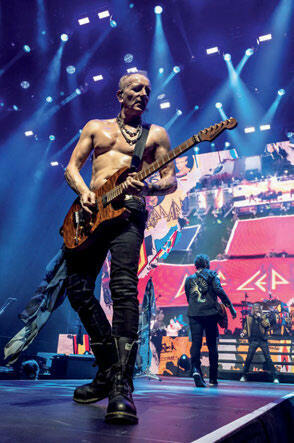 Speaking about the band’s move to a digital amp model, Guitar Tech for Phil Collen, John Zocco, told TPi: “Phil has been using the Axe-Fx system for some time but originally it was just for effects while still using the Marshall JCM preamp for tone.” However, after touring with G3 [the yearly concert tour organised by rock guitarist Joe Satriani which features famed guitarists], Collen spoke to fellow shredder, John Petrucci who had used got an earlier version of the Axe-Fx III. 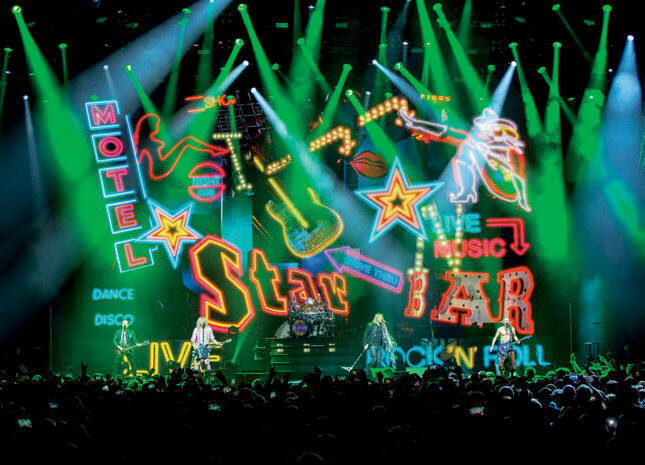 POUR SOME SUGAR ON ME The design origins for the UK Hysteria tour, like so many other elements, had developed during the co-headline tour with Journey. It saw Def Leppard’s long time LD, Kenji Ohashi and Journey’s LD Kevin ‘Deuce’ Christopher join forces. Due to popular opinion, the design was kept on when Def Leppard set out on their own. The stage itself consisted of a three-part LED screen set up, made up of a large LED backdrop upstage, two downstage LED risers, left and right of the drums. Finally, there were the three automated LED ‘Crown’ screens, that ascended to the top of the rig at the start of the show. Screenworks provided the LED and camera package for the Ireland and UK shows, which included a ROE Visuals MC12 screen, a Ross Carbonite Switcher along with a selection of 4 x Sony HSC300 long lens cameras, two handhelds and 3 x Marshall Electronics remote cameras. 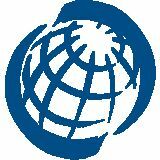 John Mcleish took on the role of Media Server Operator overseeing 2 x disguise Gx2. 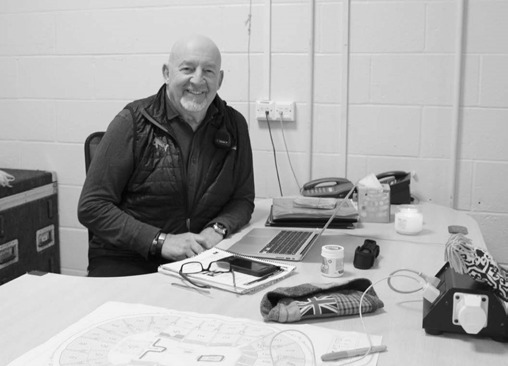 Keating continued: “When it comes to specific equipment I’m not too fussed as long as it works in the creative context of how I want the show to look and it allows me to make the show as impactful as possible. The band themselves are the absolute best! As performers, they are really invested in how the fans see their show and how the crew feel. “Every show I do a lock off wide shot record of the performance. The band sit down and talk about the show and they always ask me how it went. It’s fantastic that even after forty plus years, they still care about every element of their live performance. Even now, we’re already into discussions about shows looks for the 2019 run”. In the roof there were five straight runs of truss, three of which were split into three sections. These nine elements were fully automated via a Kinesys system to create a range of different positions, all overseen by Automation Engineer, Christian Alvarado. The primary wash fixtures were Vari-Lite VL3500 Wash FXs. 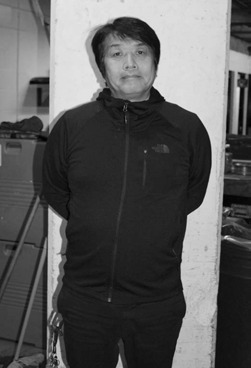 “I really like the VL300s” commented LD, Kenji Ohashi. “It’s a strong beam and very bright. I enjoy using them on every show.” The main profiles were Claypaky Scenius Unicos (with the shutters) with Claypaky Sharpys, A.leda K20s with B-Eye lenses for additional washes and soft key lighting. Also flown were GLP JDC1 LED strobes. On the floor 12 x Claypaky Sharpys and 12 x Martin by Harman MAC Viper Profiles were specified for the design. spots, with the lighting crew opting to utilise Follow-Me’s remote spots system. Controlling a rig of 10 Robe BMFLs were four Follow-Me terminals assigned to two fixtures in the rig. The operators controlled the pan/tilt parameters of the spot movement, with two BMFLs assigned to each band member. include a robust and IP rated touring construction, unparalleled visual intensity of LD systems and colour correction display mode - the push of a single button will set all output colours of all Kvant systems so they match each other. When Seabeck first entered the picture, the show was designed by Pyrotechnico’s Derek Abbot. “Effectively this means every day my main responsibility is to set everything up make sure all the equipment is clean and, most importantly, safe.” The tech went on to describe his health and safety procedure each day. “The things I have to watch out for is obscure reflections in the venue. Once I am happy with the set up, typically, it will then be double checked by a health and safety authority. 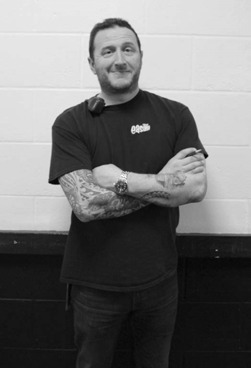 On the ground, Danny Spratt, the tour’s Stage Manager, discussed the day-to-day running of the tour. 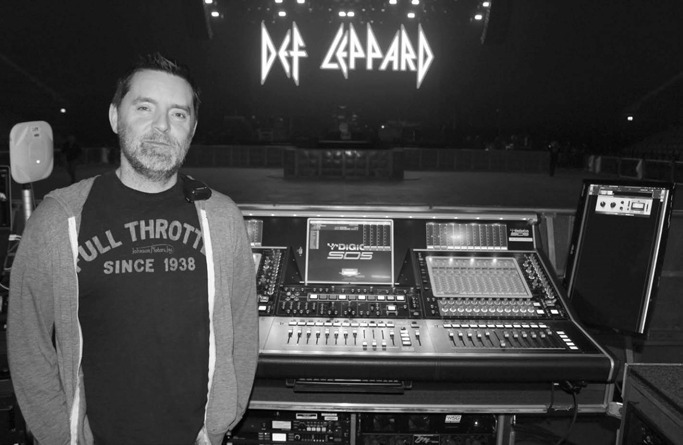 Having been with the band for the last three years he was more than accustomed to the work which goes into making a Def Leppard show happen. “The way this tour started could have been awkward simply because double-headliner shows can sometimes be hard to negotiate,” he said. “Thankfully, it was an amazing experience and both bands’ production teams basically became one big crew. Collectively, the carpentry department was made up of two crewmembers, David Boyd and Gavin Harris. “We are usually rolling the stage back out 25 minutes after the show then in an hour and half the stage is down and loaded up 30 minutes after that,” said Spratt.